British housewives say: “The process of cooking – it’s fun … but, unfortunately, every day.” Once began to explore the culinary wisdom, we cultivate a skill for life. Some actions are honed to such automatism that duty meals are prepared and served with your eyes closed. And in the everyday routine do not have time to experiment and diversity of something you want! One of the outputs – “break away” when you make your everyday dishes. Try? For example, what for you scrambled eggs? Protein yolk … breakfast as breakfast? Do you post on the table … a ghost! Yellow huge eyes, white paws, black mouth – invigorates better coffee. Preparing the same easy, even a special form is not necessary. Need only a little practice in the art beating eggs. The Result? The new “Casper” every day! After proteins are dispensed each time differently. How to master the otherworldly theme – go to “bicycle” clearance. True, we need some additional ingredients: vegetables, herbs and cheese. The first stage of the traditional: two eggs break into the pan, fry and waiting readiness. 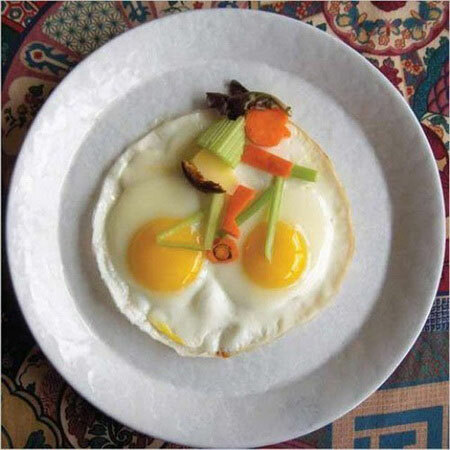 Spread on a plate of scrambled eggs and that’s just here to begin the transformation: imagine that the yolks – is the future of bicycle wheels, to which you want to add the frame, handlebars and seat celery leaf of basil. Half done, go to the rider! Legs and hands red bell pepper, cheese torso, head carrot, parsley salad or hair … five minutes of work and all the plates households race naughty girls on non-motorized vehicles. Want even easier? Make funny faces tables! 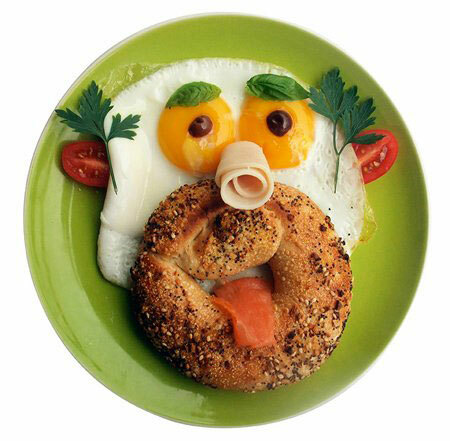 Protein head bublichnye mouths, tongues and noses salmon, tomato ears salad eyebrows, eyes – yolks with black olives. The more members, the more fun.Breakfast will turn into a lesson physiognomy with the exchange of persons parts. 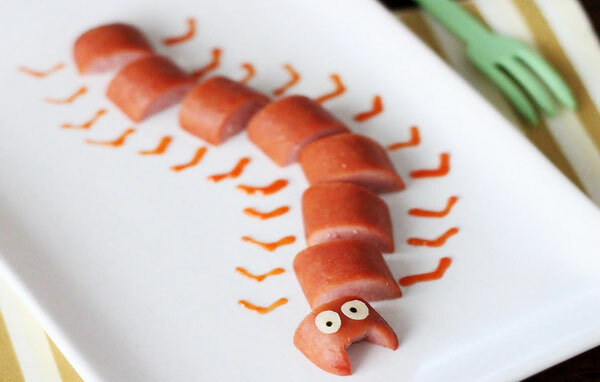 If you put the pieces of the wave at a short distance from each other and to finish them “ketchup” limbs, you get a monster centipede. 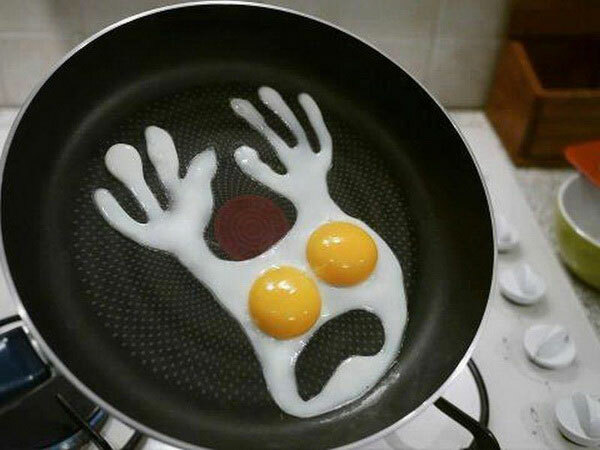 However, not a single man alive scrambled eggs! 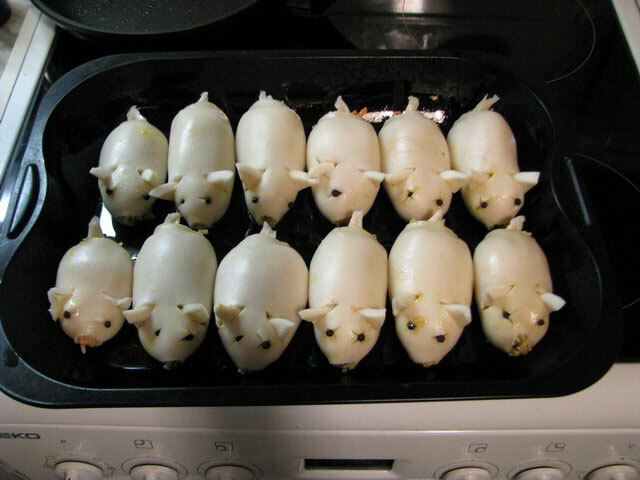 Think of the prevalence of companion dishes – sausages. It would seem that it is possible to come up with something? Decoction, fire – that’s all science. Ahn, no! 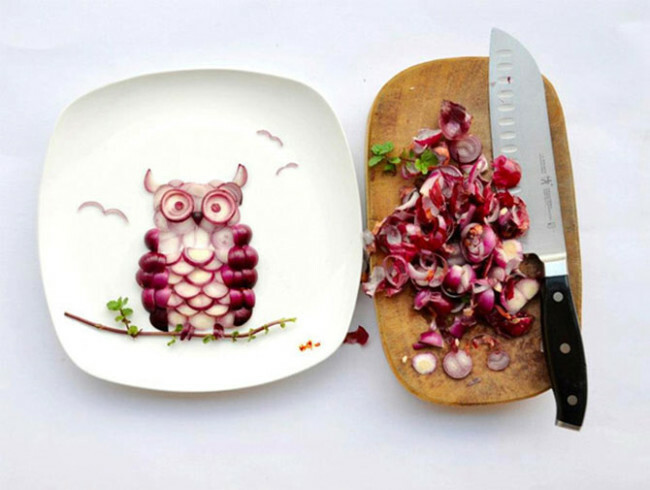 Here it is important to cut – or rather, to show imagination in the distribution of the pieces on a plate. If you put the pieces of the wave at a short distance from each other and to finish them “ketchup” limbs, you get a monster centipede. Expressiveness “face” is added mayonnaise and olives eyes pupils. The prospect of creating monsters are not afraid? 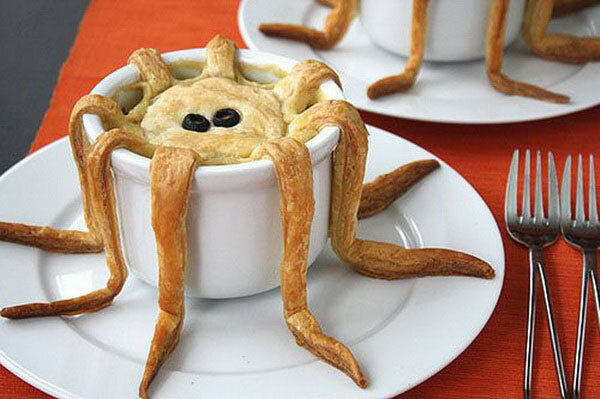 Then bake roast with spiders! You can use any recipe. What is inside the pot – it does not matter. All relish in the lid of the test. Make it not normal and flat, and as a representative of arthropods: long legs hang down around the edges, black eyes staring out of the depths. The effect is stunning! Easy upgrades usual meals will provide a lot of positive emotions to all who are lucky enough to try it. Another widespread combination: pasta and meatballs. How not to spread on a plate, and they still look like tubes and balls. Where is the place of creative ideas? In the nest! 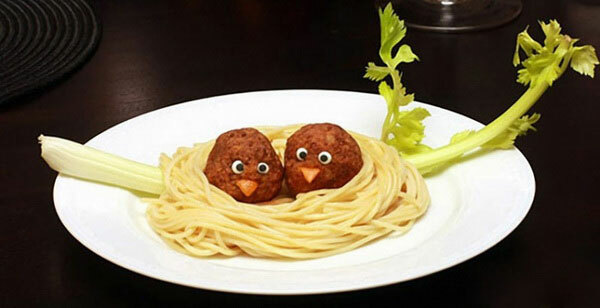 Put spaghetti in a circle – nothing like? Now place the meat in the center of two roundels and provide them with carrot beaks and eyes of the white sauce with olives pupils. Sprig of greenery for decor – and now even on the table, at least for a cooking show. Speaking of attention. Do you know who this Samantha Lee? Meanwhile, it has a direct relevance to the topic of this article. 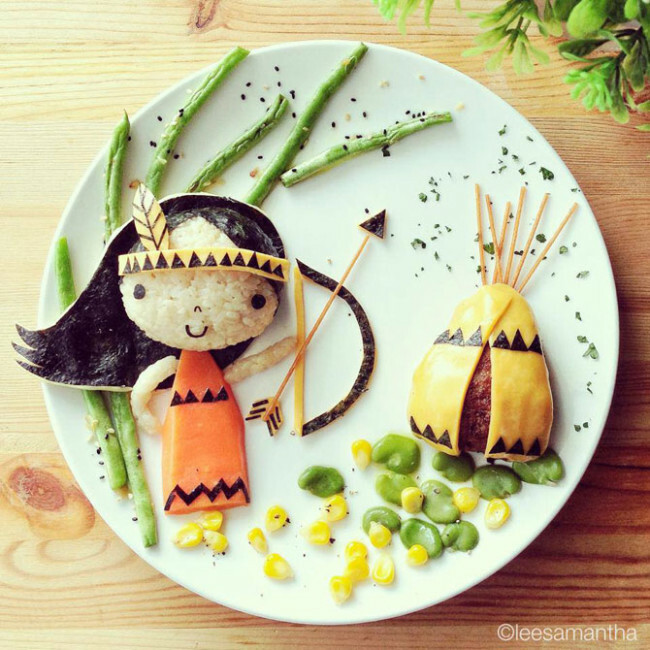 She – a guru in an unusual presentation of meals. True master was not so much for calling, as appropriate: young daughters did not want to eat, and we had to somehow get their way.Common problem, is not it? So why not take advantage of international experience? Create a whole picture of the meal – not an easy task, but the result is worth it to try. 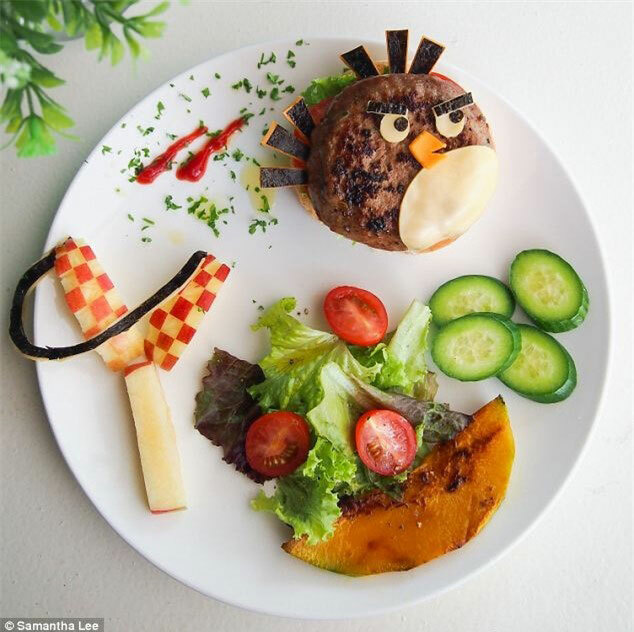 Start, for example, by trying to recreate the characters of the popular game Angry Birds: Bird – cutlet slingshot – Apple, the world around us – lettuce, cucumbers and tomatoes. 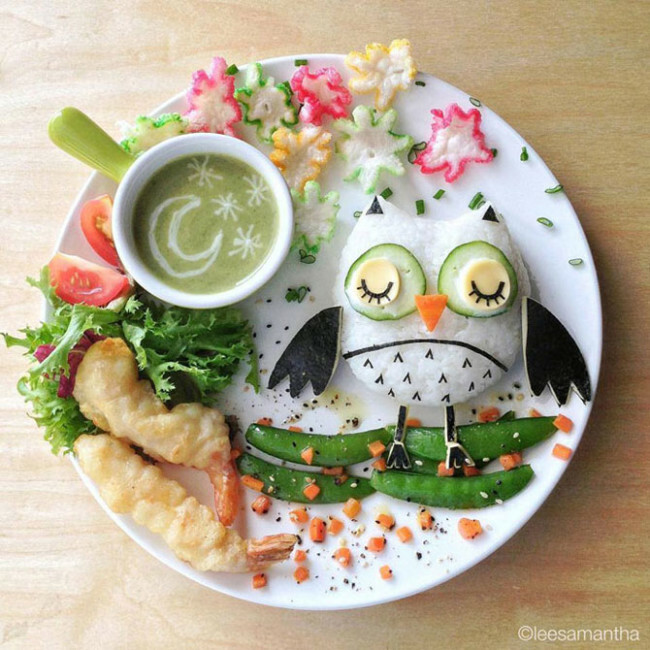 Or make a “night” meal: rice owl, bean threads, month and stars in the tureen. Start getting – transition to more complex compositions: pale squaw and wigwams on pea and corn lands surrounded by thickets of asparagus. It’s almost aerobatics! Difficult? Then try to work with only one product. I think that in this case, nothing interesting happens – a little paint and items? Tell me about it Shanghainese artist Hung And that creates masterpieces from the … bow! Small pieces – rings, halves, quarters – are laid out in the incredible things. For example, an owl!A kind of “bitter” mosaic … without tears will not look. When dry, you can try to repeat the “tomato” picture – it’s easier. 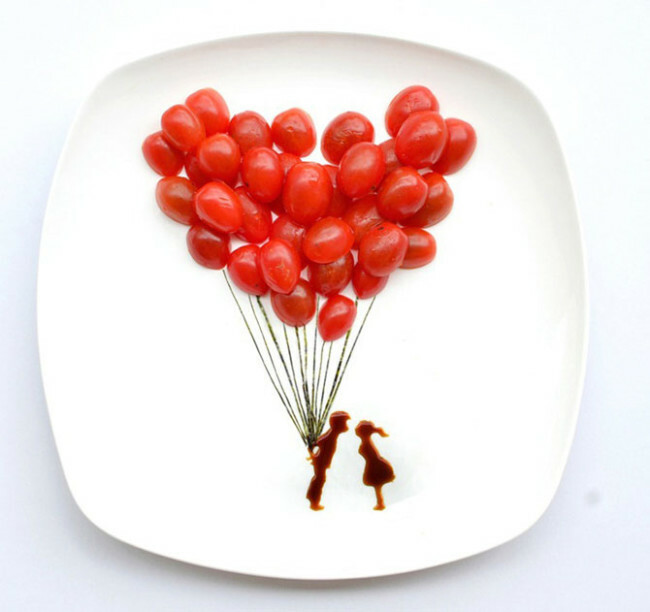 A huge bunch of balls, cherry tomatoes and a couple of teenagers in love, drawn ketchup. A magnificent sight! We invite you to evaluate the lettuce, neatly folded on the principle of the Rubik’s Cube. If you attracts a variety of colors – welcome to the salad! Just not the one where all the ingredients are mixed in the usual salad bowl. 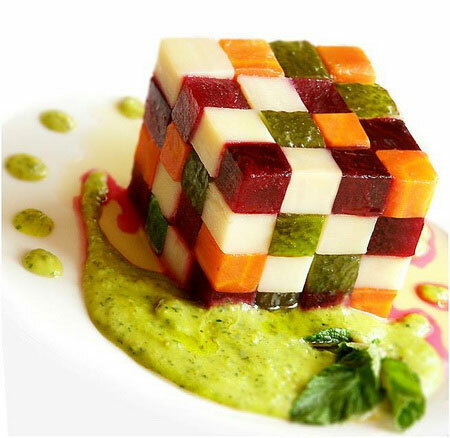 We invite you to evaluate the lettuce, neatly folded on the principle of the Rubik’s Cube. Eaten for the same amount of time, but is preparing to, uh … this recipe is suitable only for those who has a certain number of hours to spare and infinite patience. After all, cucumbers, carrots, beets, onions and other foods have the same cut into cubes and spread in perfect order floor by floor.Right – get a stunningly beautiful dish and speechless guests. And more … Delayed onset muscle soreness! 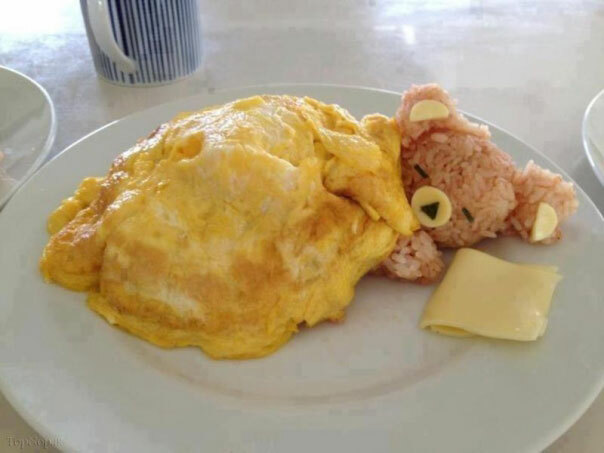 There are many ways to bring in new standard procedures for breakfasts, lunches and dinners.Someone puts on children’s plates wheat bears under omletnymi blankets, someone is feeding pigs-husbands calamari, farshiruya carcasses of marine life mushrooms and eggs, someone “bathes” rice men in tureen – Fantasia on a theme are innumerable. Every day, come up with something new. Try it, imitate, experiment, create their own. 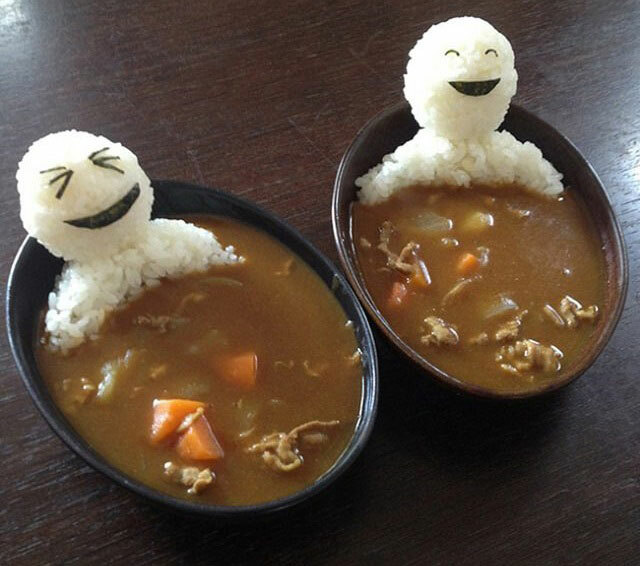 Maybe next time we will tell and your know-how in the supply of traditional dishes!